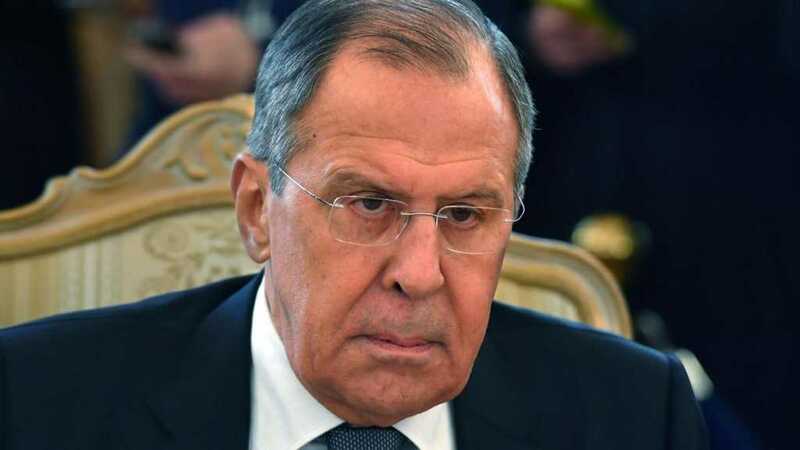 Sergei Lavrov reiterated the warning that a staged chemical weapons attack in Syria’s Idlib province may trigger a US-led attack on the forces loyal to Damascus. Earlier, the Russian military reported that a group of terrorists in Syria was preparing a provocation, in which chlorine gas would be used to frame the Syrian government forces. The incident would be used by the US and its allies to justify a new attack against the country, similar to what happened in April, according to the claim. “Moscow has recently been the center of regional contacts on Syria and we exchanged views on the outcome of these contacts and our views were identical, so I can say that these talks are constructive and positive.” Moallem added at a joint press conference with Russian counterpart Sergei Lavrov. “We and the Russian Federation have been partners in countering terrorism and have fulfilled great field achievements and we are now close to end this terrorism. Naturally, we should think about Syria’s reconstruction program and our friends in the Russian Federation have the priority in contributing to this program,” Moallem added. The head of the Syrian diplomacy pointed out that when the Syrian Arab Army liberated the city of Douma and the Eastern Ghouta from terrorism, Washington and its allies invoked the use of chemicals and launched aggression against Syria last April. Now they are repeating the same scenario to prepare for a new aggression with the aim of saving al-Nusra and prolonging the crisis. 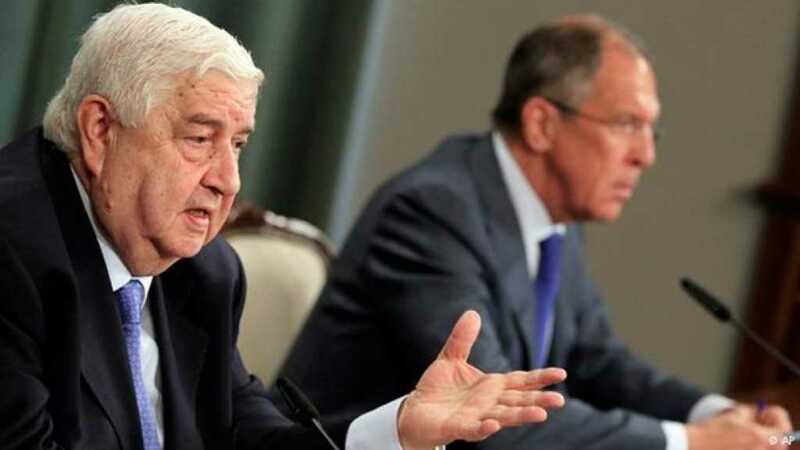 Al-Moallem affirmed that Syria will perform its legitimate right to defend itself, warning against the stupidity of committing a new Western aggression on the Syrian people because its repercussions will affect the political process inevitably. “The decision of the Syrian leadership is to combat Jabhat al-Nusra in Idleb, whatever the sacrifices were. We say that the priority is for the local reconciliations which we have carried out in several areas across Syria. We are ready to make every effort to avoid civilian casualties. We opened Abu al-Dahour corridor for a week and interacted with the local reconciliation committees. Unfortunately al-Nusra arrested most of the members of these committees and prevented civilians from exiting via that corridor,” al-Moallem noted. “We discussed the issue of our joint efforts to bring the displaced Syrians back to their country. We say to the West, who is crying for human rights in Syria, if you really want to help the return of the displaced, you should make efforts to secure the reconstruction of their homes and infrastructure and lift the unilateral sanctions imposed on Syria,” he added. “We welcome and call on the Syrian citizens to return home and contribute to programs of reconstruction and be part of building future… and we will try to provide all economic and social conditions for that purpose,” al-Moallem said. The OPCW’s July 2018 interim report on Douma noted that in samples taken from alleged sites, no chemicals that are prohibited in the Chemical Weapons Convention were detected. The OPCW found traces of “chlorinated organic chemicals”, but not Sarin, as alleged by supposed expertEliot Higgins and the White House, among others. In fact, many on social media are predicting the recycled war propaganda memes we’ll be seeingmore of soon from the regime-change coalition, including “last hospitals”, Bana al-Abed 3.0 child twitter accounts (Bana 2.0 accounts were created during the liberation of eastern Ghouta), and the latest emotive hashtag #EyesOnIdlib.